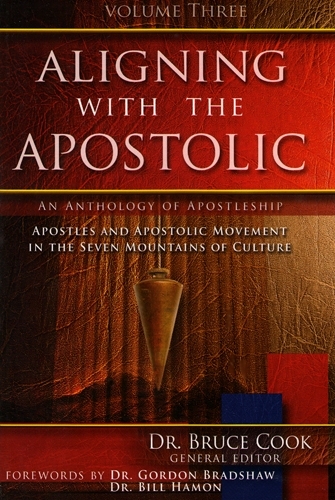 Book Three of a five volume anthology of apostleship with 70 contributing authors. Dr. Bruce Cook is a spiritual father and servant-leader, providing alignment, covering and/or counsel to apostolic leaders from every sphere of culture. He has significant experience in financial consulting, fundraising, private equity investments, banking, endowment management, higher education, board governance, technology, philanthropy, publishing, business development, marketing, research, church and marketplace ministry. 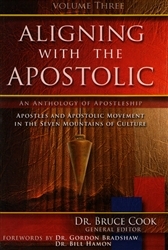 The apostolic is his passion and raising up, equipping and releasing apostles and other five-fold leaders in the Seven Mountains of Culture is his mission. His board base of knowledge and experience, coupled with his influence and insight, converge in his role as General Editor for this seminal work. He is a bridge builder, connector, convener, network leader and both serial and social entrepreneur.